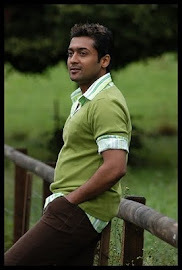 The huge turn out of voters (80 per cent) during the elections to Tamil Nadu Assembly on Wednesday has made Surya happy. “This shows the power of democracy,” the actor said. 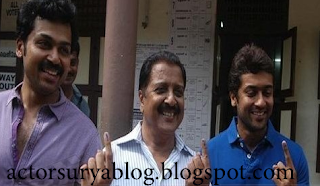 Surya, who did his democratic duty at a school in T Nagar, was accompanied by father Sivakumar, brother Karthi and sister Brinda. “I am happy that people are voting with all interest,” he said. Sneha, who too exercised her franchise in Chennai on Wednesday, was seen with father Rajaram. Sporting her usual smile, the actress showed her inked finger to the waiting lensmen.